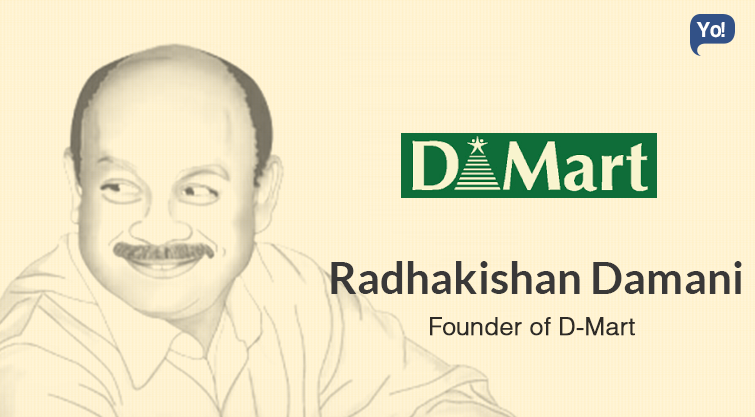 Famously known as Mr. White and White; Radhakishan Damani is a Stock market Investor, Stockbroker, Trader and the Founder & Promoter of Dmart! 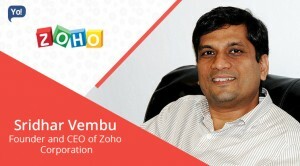 His retail chain accounts for 91 stores across India and is the third biggest in the industry. RK owns 52% stake in the parent company of Dmart called – Avenue Supermarts, and Bright Star Investments – his investment company, holds another 16% stake. Much before Dmart happened; RK was known to be an ace investor in the stock market much like Rakesh Jhunjhunwala. 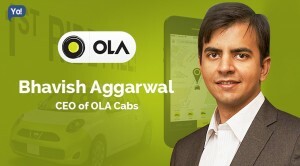 Due to his Midas touch, he has successfully earned the reputation of being one of India’s finest value investors, and as a matter of fact, he was a mentor to Rakesh Jhunjhunwala himself. He is someone who goes on to buy extremely cheap stocks which although hold potential but yet, nobody wants to buy, and hold on to them for a very long term. At 98th position on Forbes list of the wealthiest, he is valued at $1.1 Billion, which let me tell you, has been earned all from absolutely almost no wealth. He is widely known for maintaining a low profile in media, and literally, very little is known of the man. He likes to let his work speak for itself, and it indeed speaks volumes. But outside that community, even in the larger business circles, few know about him. 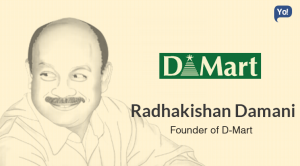 The information is so less that, if you search for RK Damani on the Internet, one might often find information about his more high-profile friend Ramesh Damani. How Was His Early Life At The Stock Market? RK had begun his career as a trader in ball bearings, with no intentions to enter the stock market. But fate had something else in store for him. Post his father’s death, he was forced to close down that business and had to join his brother in the stock broking business, which was inherited from their father. He was 32 then. He had absolutely no knowledge about that end of the world, or how that market functioned. So he began as a speculator at the stock market. within no time, he understood that watching was not the best way to make or grow capital, and hence, taking inspiration from the legendary value investor Chandrakant Sampat, he started playing for the long term. It took RK some time to gain a foothold, and quite a few of his initial bets tanked too. But since the time, he decided not to follow the strategies of the herd, he began to succeed. His strategy quite often was simple. His philosophy was long term, say 5 to 10 years. He would see if the product has the potential that far in the future. Gradually, his judgement began getting right, and within the next couple of years he was standing at par with the ranks of the biggies on Dalal Street. And mind you, unlike many other players, his ego never came in his way and he was very quick in cutting and booking losses too. This is how RK built his fortune by buying multinational stocks during the late-80s and early-90s. 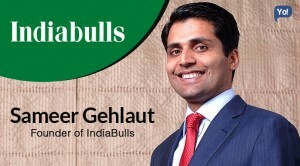 He is also one of the very few who had locked horns with Harshad Mehta – the Big Bull of the stock market, and had managed to eyeball him. This epic battle and success over Harshad Mehta made RK a legend at the stock market. 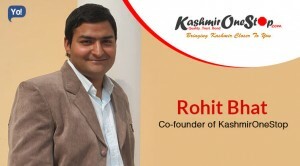 Due to many such big-bang victories, RK has evolved into the most valued investor of our times. Anyway! On the stock market, he is observed to be wearing two hats. On one end, he is the Trader, trying to understand the market’s swings, wherein on the other end, RK is the Value Investor, betting on companies for the longer run – similar to the god of the stock market Warren Buffett. 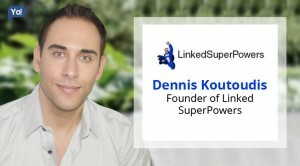 After reaching such great heights, in 2001, suddenly quit the markets and decided to enter the retail industry. He built Dmart. Owned and operated by its parent company – Avenue Supermarts Ltd (ASL); Dmart is a chain of hypermarket and supermarkets in India which was first started in 2000 in Mumbai by R K Damani. The Merchandise offered at D-Mart stores comes at lower prices than the rest, and these stores are also designed keeping customer convenience in mind. 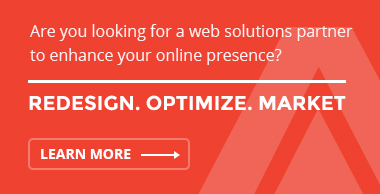 What Strategies Have Been Adopted By Them? To begin with – D-Mart wants to create an image amongst the masses of a discount store that offers most of the products from across all major brands. Basically, a store that offers value for money! Now, since people mostly come to Dmart because they all what they need under one roof; hence, Dmart stores are operational in high traffic areas and across three formats including – Hypermarkets, that are spread across 30,000-35,000 sqft, Express format, that is spread over 7,000-10,000 sqft and lastly, the Super Centers, that are set up at over 1 lakh sqft. And Dmart’s target audience being the middle income group, it uses Discount offers as a promotional tool for luring the customers and increasing sales as well. Overall – Dmart’s success is focused on three things: Customers, Vendors and Employees! Take Customers. Since Dmart is targeting middle income households, all their stores are in, or close to, residential areas and not in malls. Their idea is not to meet every consumer need like other competitors, but instead, Dmart aspires to meet most regular consumer needs, while providing value for their money. And since, 90% of these stores are owned directly by Dmart, they don’t have to worry about monthly rentals and their rise, or relocation risk. Additionally, this is helping them build assets on their books. This also helps to keep Dmart well capitalised and debt-light, while its operations generate spare cash. All the money that is saved using this strategy is eventually offered back to the customers in the form of discounts! Vendors! Vendor relationships are the second pillar of their model. Since he comes from a trader background, his vendor relationships have been his biggest strength. The FMCG industry has a payment norm of 12-21 days, but Dmart pays its vendors on 11th day itself. This helps him stay in the good books of the vendors and avoids stock outs. And since Dmart buys in bulk and pays its vendors well in time, they also get to earn higher margins. Basically, their strategy is to “Buy it low, Stack it high and sell it cheap”! Employees! This is the third pillar of their model. Dmart offers good money, flexibility, empowerment, and relaxed & efficient work culture. They even go on to hire 10th standard dropouts with the right attitude and commitment. 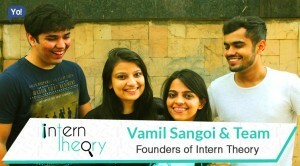 They prefer hiring raw talent, and then invest heavily in training, to mould them as per their requirement. Employees are just told once about the value system and policies at D-Mart and then are empowered by giving them the freedom to operate without somebody constantly looking over their shoulders. There is absolute clarity on what needs to be achieved, but you don’t need to fear targets. 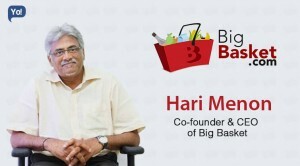 Unlike Its Competitors, How Did Dmart Turn Profitable So Fast? 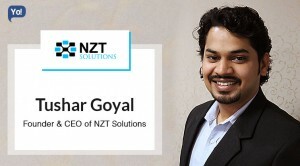 In a market where more recognized and larger counterparts such as Spencer’s (RP-Sanjiv Goenka Group), More Store (Aditya Birla Retail), Star Bazaar (Tata Group-owned chain of hypermarkets) and Hypercity (Shoppers Stop-owned), too are waiting to achieve profits, Dmart has successfully managed to crack the code in just about a decade. Well for starters, no matter where it operates, the prices that Dmart offers are 6-7 % lower than its competition. What lets it achieve such pricing tactics is its operational style. Out of the all the stores it runs, Dmart owns majority of the properties, which helps them to save a huge chunk of money on rent. They also avoid opening stores inside malls unlike other hypermarkets to avoid high CAM (Common Area Maintenance) charges and highly inflated rents. And since rent is adds in a big way to the operations costs of a retailer, that burden goes away, and helps Dmart to boost its profits further. This amounts for almost 6-10 % of its sales. What helps them even more is that, since most D-Mart stores are in the suburbs in the metros and in tier II & tier III cities, the operational costs remain low. Other than that, Dmart also saves a good amount of 2-3% from the suppliers by paying them upfront in about 48 hours of delivery, when all other organised retailers, buy goods on credit of 30-60 days. Unlike bigger retailers, costs are further kept low by keeping a basic and economical layout without any flashy interior. Given its size, Dmart also manages to keep its financials at check and grounded too. They have kept their debts and a bare minimum and have also cut their advertising budgets by 30-40 % in the last couple of years to save costs. But honestly, Dmart’s cost efficiency model is practically very difficult to replicate. One a larger scale, it is not possible for bigger chains to own stores because, it requires huge capital expenditure, and this method is only affordable till the time you’re a small chain, which is why Dmart is growing slowly. Using such strategies, Dmart has managed to reach profitability much before any other peers! Since the time RK was an investor, he liked the consumer business and was seen investing in similar stock too! So he always had a strong affinity to start something in the same sector. And in 1999, when retailing was far from reality, at least in India, he decided to enter the ring. RK, in a sudden shock to everyone, left the stock market for about six years, and along with Damodar Mall, took a 5000 sqft ‘Apna Bazaar’ franchisee in Nerul, Navi Mumbai and soon, added one more as well. Two years later, they setup Dmart and took over Apna Bazaar. The early days of the business were all about intensive learning, understanding the customer’s mindset and accordingly creating a store layout, billing systems, gaining the confidence of vendors, etc… Damodar and RK would travel to the APMC market in Vashi or Crawford Market in Mumbai, to interact with wholesalers and traders. Within about a year, when everything seemed sorted, they decided to apply the model to multiple locations as well. 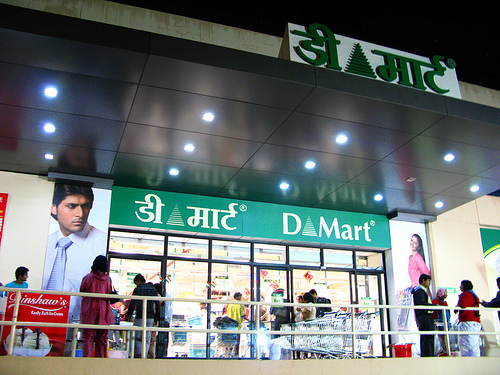 In 2007, Dmart began its expansion and went on to open various stores in Ahmedabad, Baroda, Pune, Sangli and Solapur. 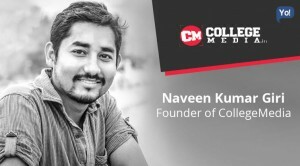 Their expansion strategy followed a collective approach and was designed in such a way that they used the local vendor support, and opened all the stores surrounding them. 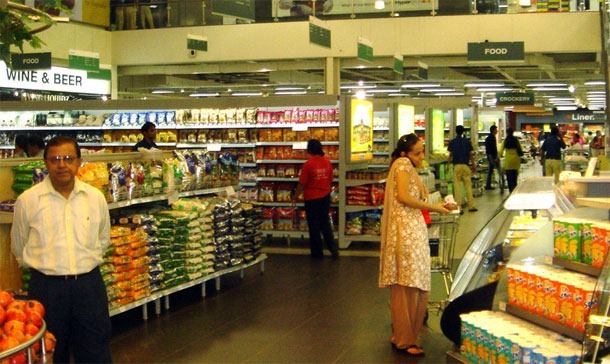 By 2012-13 – Dmart had soared its revenues from Rs. 260 crores in 2006-07 to Rs. 3,334 crores, making them India’s third-largest branded retail chain. The beauty here was that, what Future Group with 1000 stores was clocking (turnover of Rs.14,201 crores), and Reliance Retail was clocking (Rs.10,800 crores) with 1450 stores; Dmart was achieving with just 65 stores, which weren’t pan India. Their sales per store was somewhere close to Rs. 53 crores, while Reliance was making around Rs. 7.45 crores per store. In just a span of 13 years, Dmart had also managed to achieve profitability, and was now making around 2.5 %. By 2014 – they had reached to account for 73 stores across Maharashtra, Gujarat, Hyderabad, and Bangalore, and were also projecting to hit Rs. 4,500 crores in revenues this year. 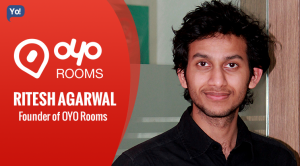 The company has been growing robustly despite a slowing economy and were also crossing the Rs. 100-crore mark in profits. At a time when other retailers were finding ways to cut costs or slow down, Dmart was on an expansion drive to open more supermarkets. 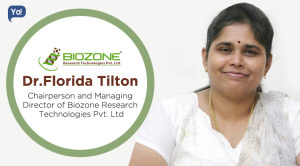 Moving on to 2015 – with revenues worth Rs. 6450 crores, Dmart booked a profit of Rs. 211 crores in FY14-15, which was higher than Reliance Retail’s Rs. 159 crores and Future Retail’s Rs. 153 crores. Dmart now accounts 91 stores spread across 26 cities including – Maharashtra, Gujarat, Telangana, Andhra Pradesh, Madhya Pradesh and Karnataka, and have also recently purchased a property in Rajkot. Since its initiation, Dmart has not shut a single store and more recently, also became the first retailer to cross the billion dollar market profitably.